Samsung officially unveiled the Galaxy S10 lineup at the Galaxy UNPACKED 2019 event on February 20 in San Francisco. Shortly after, pre-orders were live and eventually the phones landed on retail stores on March 8. However, early adopters noted that the phone came with February security patches out of the box. Samsung quickly pushed the day-one update (ASBA), which came with fingerprint, camera and Bixby related fixes, but the security patch level remained unchanged. Part of their Security Maintenance Release (SMR), Samsung started rolling out March security patches for a number of older devices. Good news is, their current gen flagship has just joined the roster. The global variant of Galaxy S10 family is currently receiving the March security patches with additional fixes to Wireless Powershare and camera stability. In terms of security fixes, the South Korean OEM included 11 Samsung Vulnerabilities and Exposures (SVE) besides the standard Google patches. Interested readers can take a look here to know more. The size of the incremental update is almost 500 MB, thus it is safe to assume that Samsung engineers put additional fixes which are not mentioned in the official changelog. We have decided to dig a little and found something interesting. The Exynos 9820 powered global variant of Galaxy S10 is plagued with a nasty battery drain issue, which can be triggered particularly by VoIP calling. Team PiunikaWeb did a deep investigation on the topic and analysed the user feedback. It seemed that the bug prevented the CPU clusters to go to the deep sleep mode, thus drained significant amount of battery juice. After checking and analyzing the log file, Samsung has learned about battery drain issue. on Samsung Galaxy S10 +, our related departments are actively working to release the next update to fix (version G975FXXU1ASC1) as soon as possible. As a matter of interest, the aforementioned ‘ASC1’ update doesn’t exist – at least publicly. The newest ASC8 build, however, reportedly fixed the pesky battery draining bug after VoIP calling. 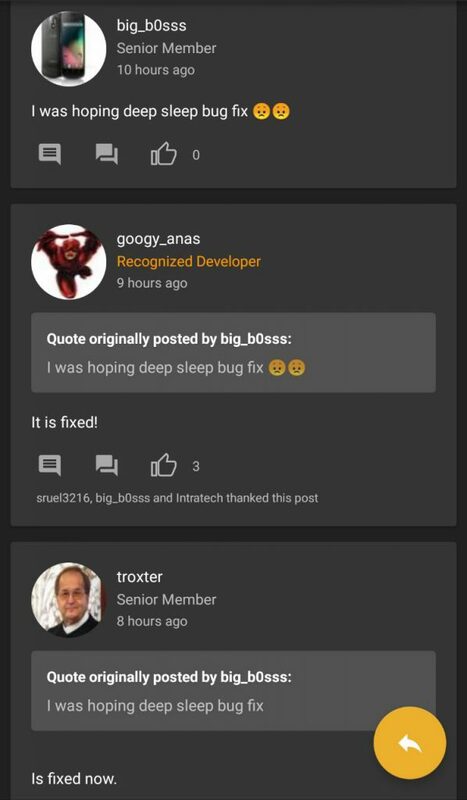 Comment from discussion and1927’s comment from discussion "Samsung Response to the Deep Sleep Issue with VoIP". The update is currently rolling out to select European regions. The full version number of the new build should be G970FXXU1ASC8 for the Galaxy S10e, G973FXXU1ASC8 for the regular Galaxy S10 and G975FXXU1ASC8 for the Galaxy S10+. 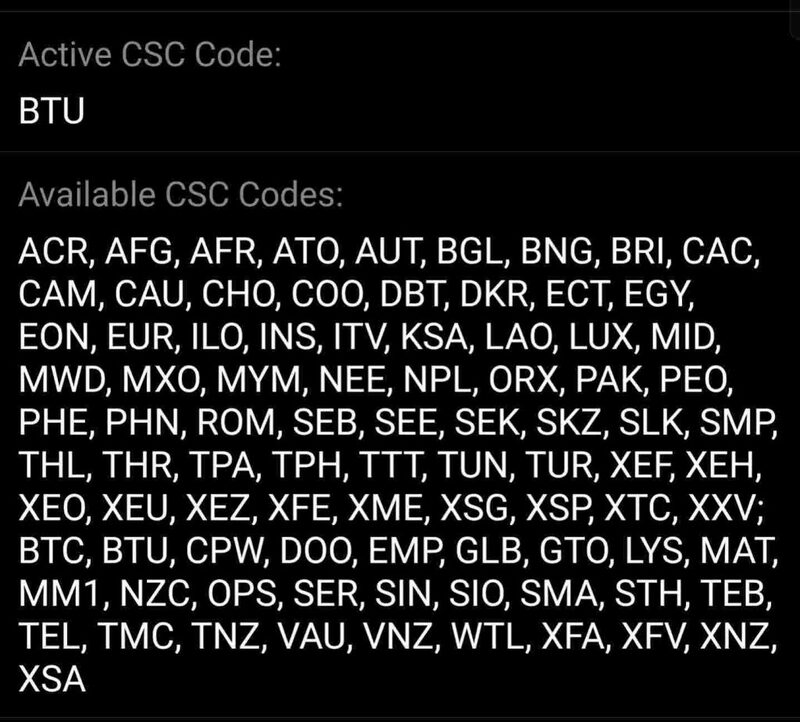 The following country codes are listed internally, thus they will eventually get the build. Those who are familiar with manual flashing can visit the following threads to grab the ODIN flashable update packages. Note that, the US Galaxy S10 models have yet to get this particular update. Interestingly, a Sprint employee hinted about a future update that might fix the data / LTE connectivity issues of S10 on Sprint network. As you can notice, the tentative date of rolling the update is March 27. There is a high probability that Samsung and Spring will push the network fix inside the upcoming March update (ASC8) for the Snapdragon powered carrier locked S10 models. Overall reports about the update are satisfactory among S10 users. Comment from discussion iamnotkurtcobain’s comment from discussion "March security update out now in UK". Have you got the update prompt on your Galaxy S10? Let us know. According to SamMobile (as well as a handful of users), Samsung might have paused the update rollout for the global Exynos variant of Galaxy S10 series. However, the same update is currently rolling out for US Snapdragon models – starting with the Sprint branded variant. Sprint users, do let us know whether the network issues are fixed after installing the new update or not. Samsung is currently rolling out a new build (ASCA) for global Exynos models after pulling back the initial March update (ASC8).